It took months for Rocky’s injuries to heal but look how fit and healthy he is now! You wouldn’t know Rocky was the same dog, but this handsome fellow was in very bad shape just a few months ago. Back in August, police in Racine, WI, responded to a caller reporting that a man was dragging a dog behind his van. When the van pulled over, the caller reported, the dog broke free and limped off. 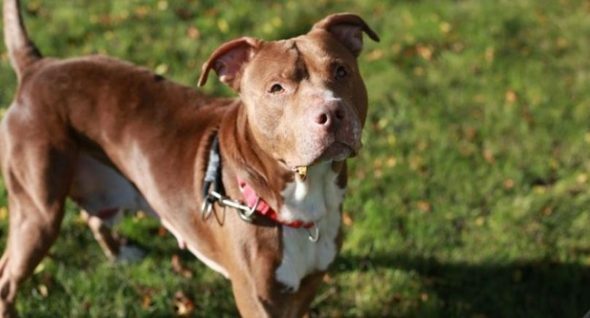 Police followed a blood trail to find two individuals who thought the dog had been hit by a car and were attempting to triage its wounds — and a van that matched the description of the caller. 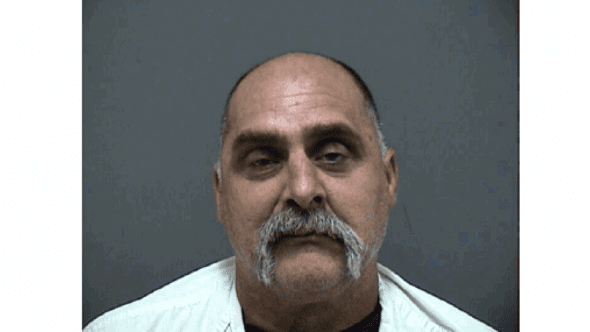 Following additional investigation, Peter Valente of Racine was charge with felony mistreatment of animals and intentionally leading an animal from a motor vehicle. Peter Valente is facing felony animal cruelty charges. His next court date is in December. Rocky’s injuries, not surprisingly, were severe. Veterinary reports listed bruising and road rash. Tendons on all four of his legs were exposed. His paw pads were torn open. Additionally, Rocky had mange and broken teeth. He was also underweight. “It’s kind of one of the first times I looked at an animal and thought, ‘I can’t believe you have to go through this,’” said Nina Fleming, an adoption counselor at the Wisconsin Humane Society told ABC2. It took months of treatment before Rocky was able to be put up for adoption, but when Justin Sobojinski saw him via a Facebook post, he just knew that the dog was meant to be his. Sobojinksi, a Wisconsin native, now lives in Colorado Springs. He just bought a home and has an older dog named Cash. Rocky’s story sealed it for him. “I never write off a dog because of the past. I was specifically looking for a dog that needed someone to take a shot,” Sobojinski said. “We’ll all miss him very much, but the goal is for him NOT to stay here,” Fleming said. Rocky is staying with Sobojinkski’s friend before making the trip to Colorado soon. Sobojinksi has not met his new dog yet but knows the two will spend plenty of time together hiking in the Rockies. Perhaps Rocky’s name was kismet, too. “From what I understand, he’s a very quiet dog. He doesn’t bark, he doesn’t beg for food. He gives all the kisses and the cuddles like a pit bull normally does. I’m just excited to get him up in the mountains and let him feel free,” Sobojinksi said. Valente’s next court date is in December.